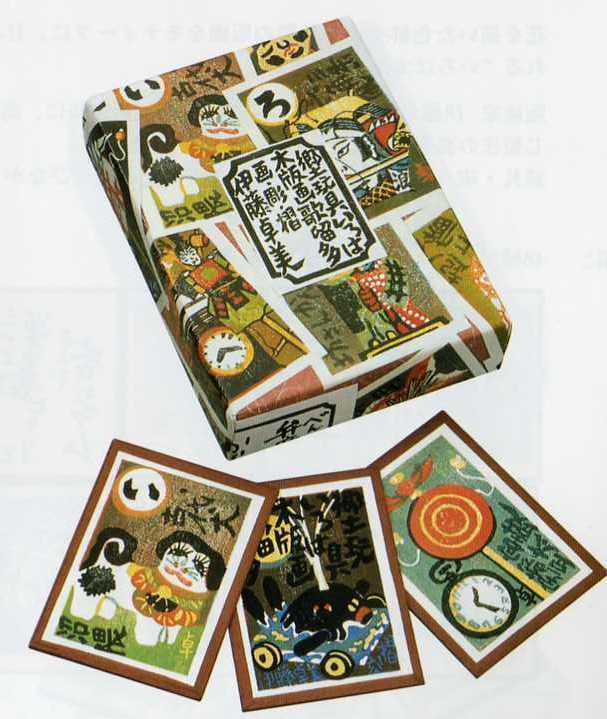 Various parts of Japan (47 prefectures) of what the local toy transmitted from the old days it was in one by one karuta. A multi-color woodblock prints by printmaker Takumi Ito, nostalgic traditional karuta that finish in backing bills of the same process as the luxury Hyakunin Isshu "Luck, Derived material, Special products" such as, Takumi Ito is finished in a rustic taste and atmosphere karuta a wide range of toys. Work of three work eyes of Mr..
Yomifuda 50 sheets bill 50 sheets-up.